The exterior of the building is looking phenomenal, and we have been receiving compliments regarding how nice the building blends in with the campus! The siding is 30% complete and is currently being installed on the back of the building. 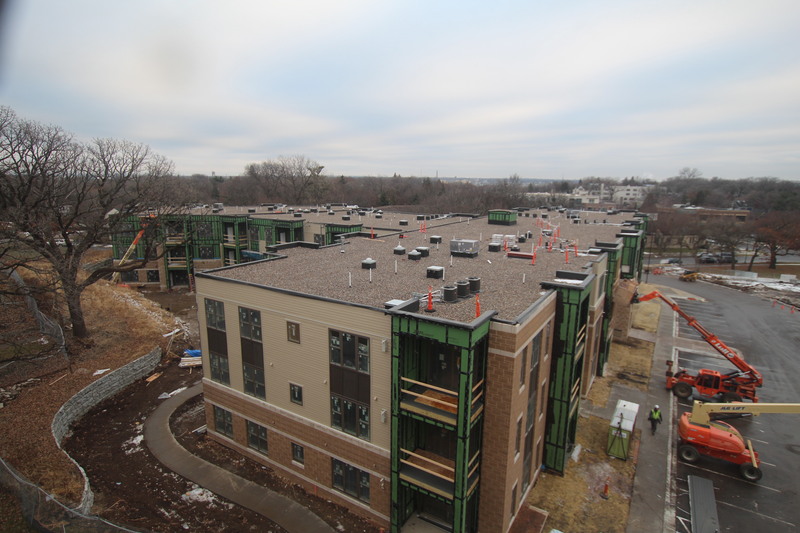 The remaining unit decks are being framed today, and installation of the siding on the interiors of the decks begins next week. 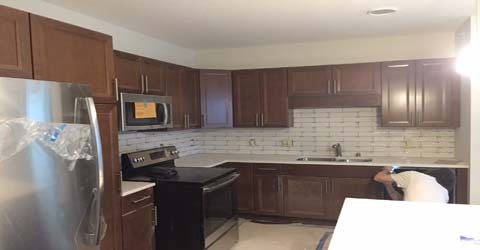 Drywall is 100% complete for both zones, and painting is 100% complete in zone 1 and is underway on floor 2 of zone 2. 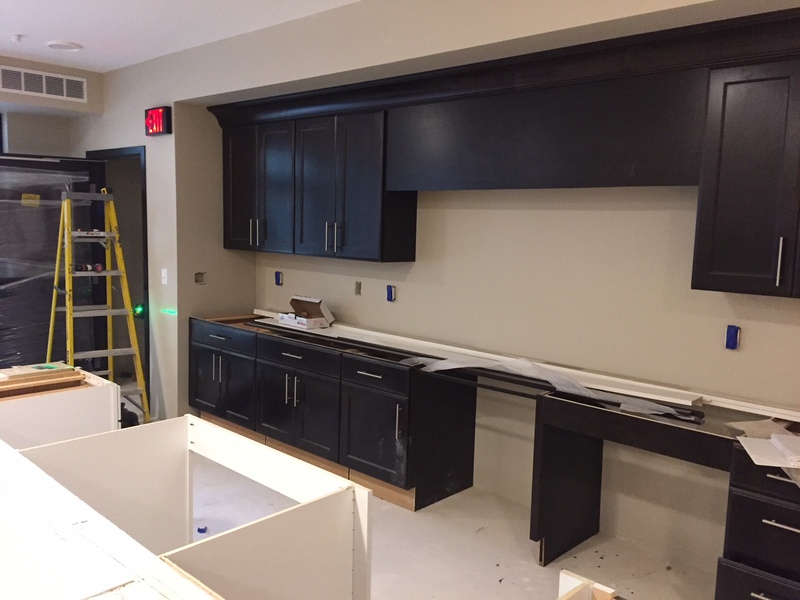 Cabinets are currently being installed in the common areas, and on the 3rd floor of zone 2. The elevator shaft and doors have been installed. 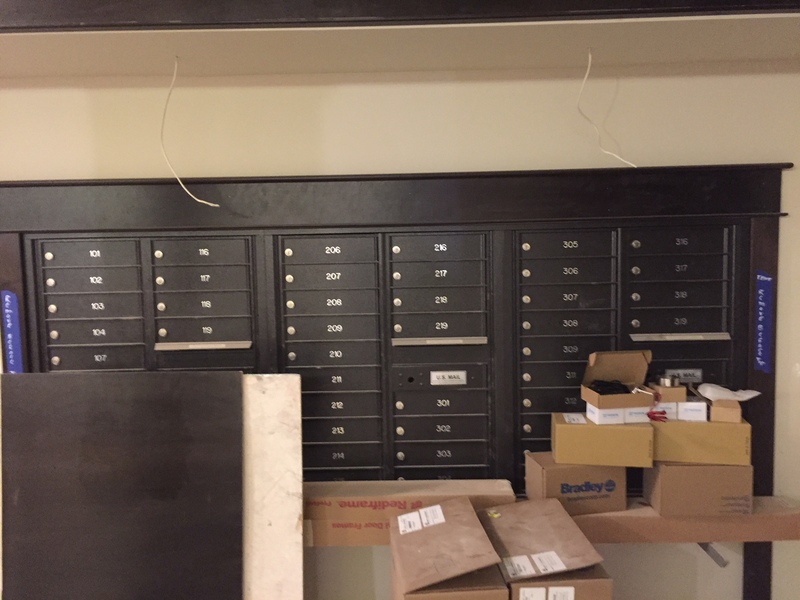 Millwork is underway in the common areas and the mailboxes have been installed. 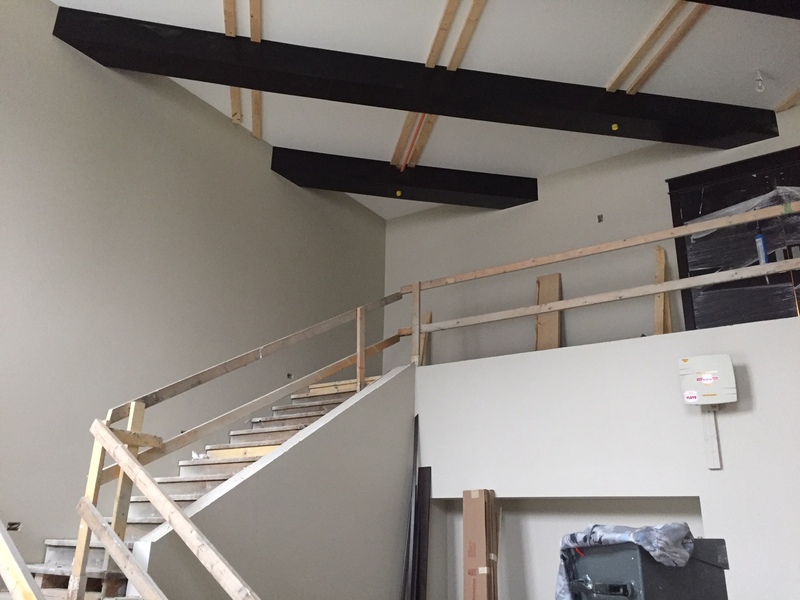 The ceiling of the two-story gathering space inside the entry is being installed, and I have included a sneak peak in this week’s photos. It truly is beautiful! 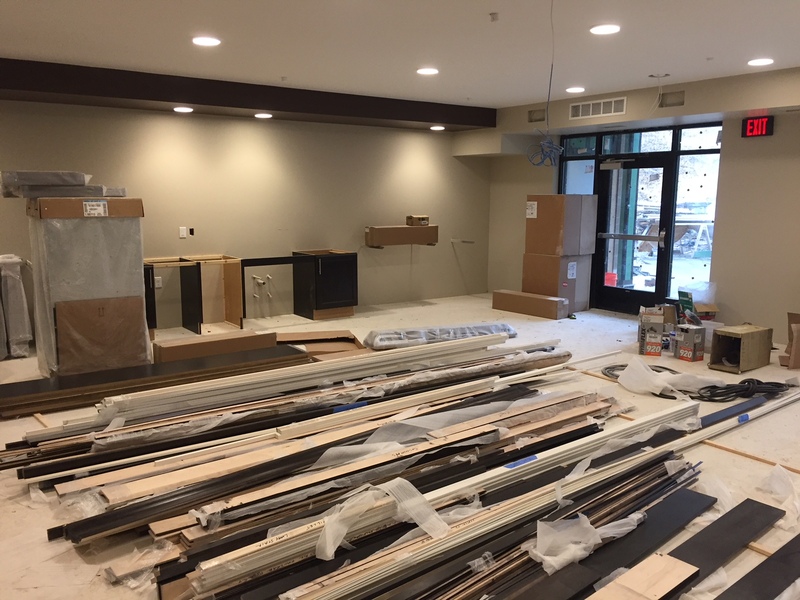 Everyone on the Development Team wishes you all a Happy Holiday season, and look forward to celebrating the opening of your new home in 2019!